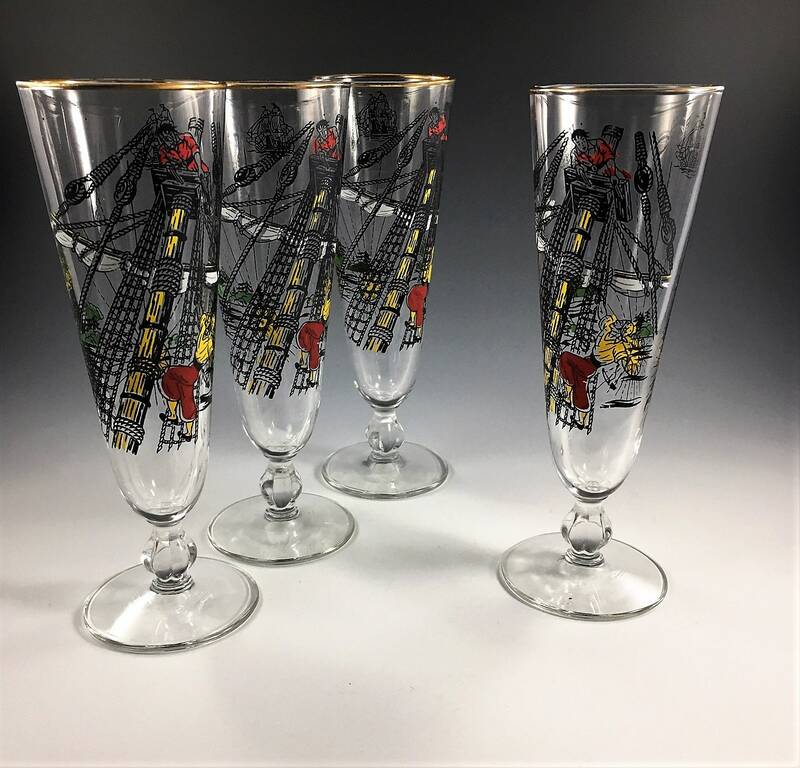 Featured is an uber cool vintage set of 6 "Treasure Island" glasses by Libbey. 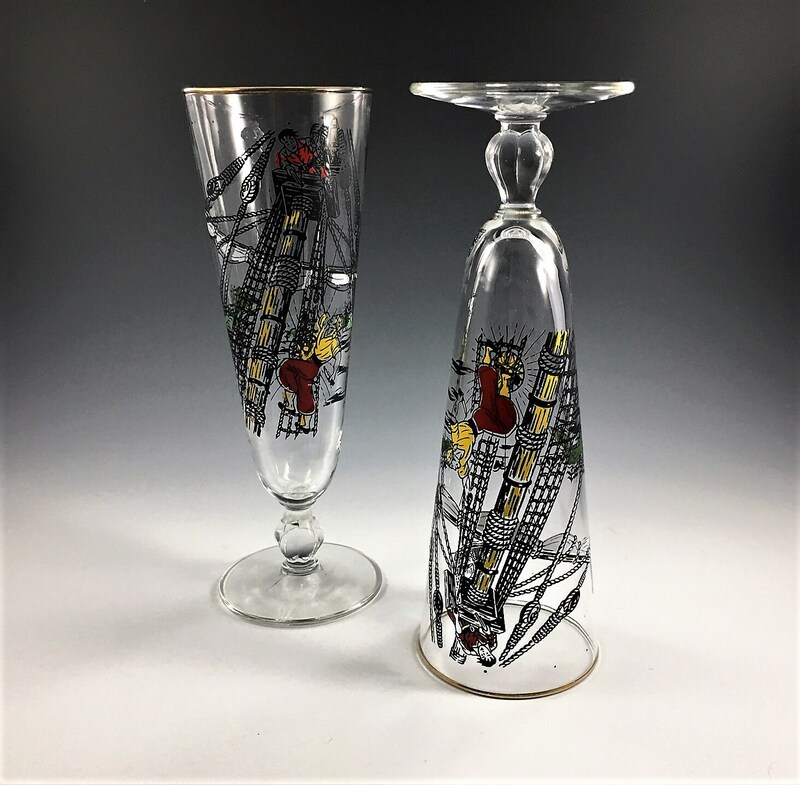 These pieces, inspired by Robert Louis Stevenson's novel, are so much fun! The graphics depict a pirate climbing up the crow's nest towards his foe. The opposite side is decorated with a sailboat and a nautical compass symbol. 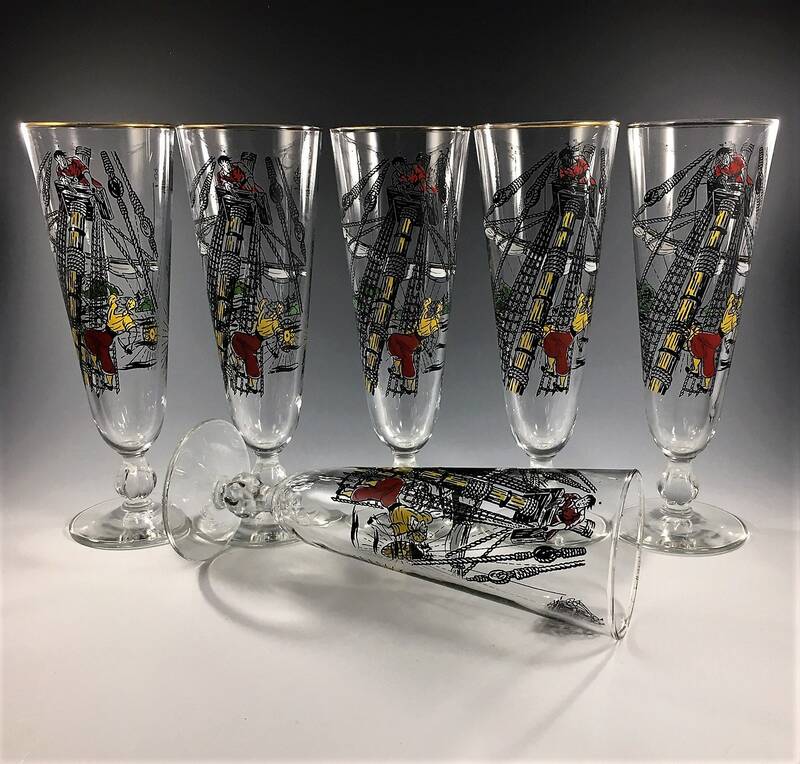 All six glasses are in wonderful condition, no chips or cracks, and a some wear to the gold around the rims. 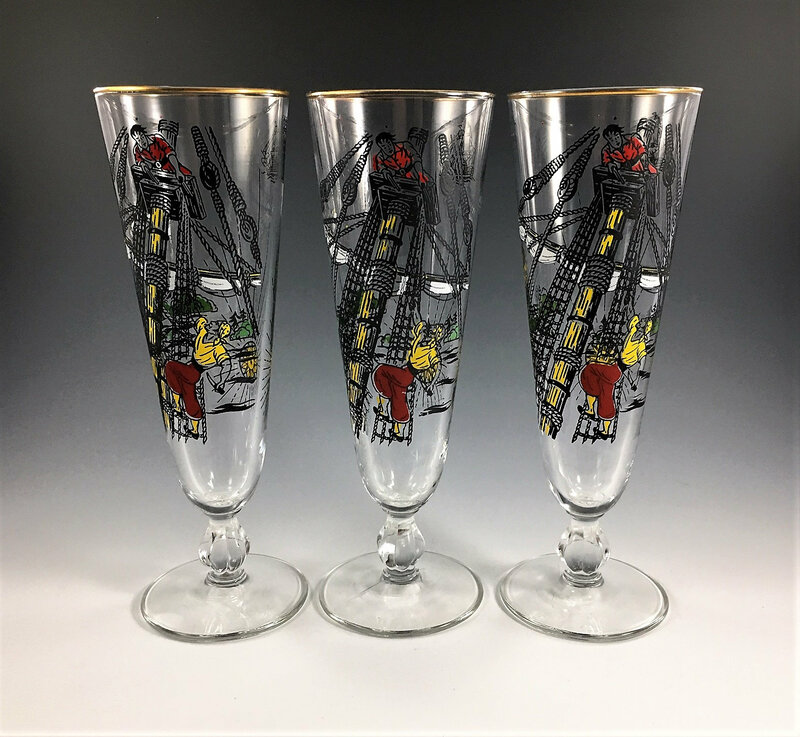 They measure about 8 1/2 inches tall and are about 2 3/4 inches in diameter at the rim. All 6 pieces for one low price.